Long term investing in shares of companies is one of the legitimate way of investing your money and making a good return out of it.Since there is risk involved, only organised ones are seen in plenty at stock markets. Retail investor or common man investing his hard earned money is a minority phenomenon today.A share or stock is practically a small part of ownership of a company. How are people making money at the share market? Some are short term traders.Others are long term investors.Short term traders are the ones who can be compared to the real estate flippers in your locality.They put some money and do some trades on shares in stock market (buy/sell).This is a strict no for first timers especially with large amount of hard earned money. How are people making money from shares through long term investing? Buy low,sell high principle.People buy shares at low prices at some point of time with their conviction that the company will do good in the future.If the company does well in the future,hearing positive news about it in the market, lot of people will try to buy the stock from the market.When demand increases the price of stock also increases. When the share is at a high price due to some speculation, people sell the shares and get out of their holding position.For eg: Ajith bought 100 shares of xyz company for Rs 100.So he invested 10000 rs and after two years on a particular day a news has broke out that the company got a big order from another company.That day traders are in a frenzy and the price of share rose to Rs 250 per share.So Ajith sold it and got out of his position.He got a profit of Rs 15000 from the 10000 he has invested.Also he got Rs 250 and Rs 200 as dividends in the two years when he was a shareholder. In two years his investments made a return of 150 percent. So the advantages of stocks are price appreciation and dividends.Another benefit is you don't have to pay tax on the profits you made out of the shares if you are selling it after one year.The profits you make will be called as long term capital gain and it does not attract taxation. When the company makes profit, sometimes they decide to distribute a part of it to the owners.This gets distributed to each of the shareholders.The money you get as a shareholder is called dividend.For example a company got profit of Rs 10 lakhs in the financial year 2012-2013. It decides to keep 5 lakhs for building a new office, 3 lakhs to pay loans.The rest two lakhs it decides to give back to the investors.Suppose the company has 100 shares out of which 50 shares are owned by the promoter Mr. Ajay Chandran and the rest 50 are in the hands of small investors.Ajay Chandran having a hold in the director board can decide to distribute the 5 lakhs rupees to the investors such that each shareholder gets Rs 5000.Ajay chandran would get 2,50,000 in that case and a retail investor having 10 shares will get Rs 50000 as dividend. In real world dividends are meagre. Because when the shares are issued for the first time, shares have a face value of say Rs 10.And because of rumours when they are traded in the market, the share with face value of Rs 10 would be sold at Rs 2558 per share. Why i suggest you invest in stocks? You participate in a nation building activity.You invest in a business.Some business fail and others succeed.If your 'company' win you make money otherwise you lose.May be your investment will get microscopic and vanish.If you are a person interested in taking the risk, and track the news about the company you invested in, you can do it. How it will change you? 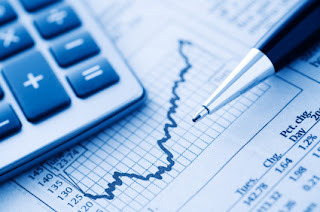 In order to protect your investment, you will be forced to learn systematic ways of long term investing.You will then learn about financial reports of the company,know about the industry, the trends.So there is a chance you may make excellent moves and make good returns.You will try to learn about financial education which is not just limited to accountants and tax planners. How to start investing in shares? Start with a small amount say Rs 10000 (or whatever you feel comfortable) in the indian market.The starting amount should be such that your financial health should not get endangered if you broke in the stock market.Make sure that you are not gambling.Greed and addiction to trade are the reason for failing in your endeavor. I had a simpler and better article in my old blog which is now no more.I have tried to explain shares in a simple way in this post.Feel free to comment on this post if there is any error/ typo in the post.